Dr. Sara Robertson was the featured speaker at the February 11, 2019, Rules of the Game event. Last month, an intimate gathering of Louisville’s town and gown met at the Speed Museum for the third installment of Rules of the Game. This event series, generously sponsored by local leaders David Jones Jr. and Matthew Barzun, brings together members of the community and the University of Louisville for an evening of thought-provoking discussion about the rules we as a society live by, the rules we break — and why. February’s topic, “Nurse Practice Authority: Why Are the Rules So Blurry?” was brought to us by Dr. Sara Robertson, assistant professor and director of the Doctor of Nursing Practice Program at UofL’s School of Nursing. For about 10 minutes, Dr. Robertson spoke about the constraints under which Nurse Practitioners work in the Commonwealth and how that limits the delivery of medical services. She explained, for example, that an NP can only practice if a physician signs off on the service delivery. This requires the NP, moreover, to pay a significant fee. The result, Dr. Robertson argues, is to infringe on wider delivery of medical services. She outlined SB 132 — a bill that did not make it out of committee during the Kentucky's Legislature's 2019 Regular Session — that proposed removing the mandatory collaborative practice agreement that NPs must have with a physician in order to prescribe controlled substances. This agreement, argue opponents, poses a barrier to health care for many Kentuckians. While SB 132 didn't make it out of committee, the bill in its entirely has been added as amendments to another bill, SB 22. Dr. Robertson is now advocating for passage of these amendments. Her presentation was followed by a lively discussion. As I looked around the room, I was excited and encouraged to see participants from a wide range of careers and experience — in the room, we had doctors, entrepreneurs, academics, lawyers and civic leaders. It’s this kind of interdisciplinary engagement that makes the relationship between Louisville and UofL so special — and so important. And as dean of the city’s only law school, I am honored to be part of this program that prompts us all to examine the different ways we view the world. See a full gallery of photos from this event. Senator Gerald Neal and students from Central High School. On the same evening that Louisville Law hosted Professor Marc Steinberg for the Bullitt Lecture, the Louisville Bar Association honored one of our alumni with its prestigious Justice William E. McAnulty Jr. Trailblazer Award. Senator Neal was honored for “his contributions to the promotion of racial diversity and justice within the legal community and beyond,” says the LBA. Indeed, Senator Neal has an impressive record. He was elected to the Kentucky Senate in 1989, becoming the first African-American male to serve in that body. Returned to Frankfort at every subsequent election, he is now the longest serving African-American member of the Kentucky General Assembly. A strong advocate for senior citizens, youth, minorities and the disadvantaged and a staunch supporter of education, economic development, health care and penal code reform, he sponsored legislation amending the Kentucky Constitution to remove segregation by race, prohibit racial profiling by law enforcement and prevent the execution of a person when evidence shows racial bias in prosecution. He was recently chosen as parliamentarian of the National Black Caucus of State Legislators. In 2017, the law school’s Law Alumni Council awarded Senator Neal its highest honor, the Lawrence Grauman Award. The LBA’s event also recognized winners of the Central High School Law & Government essay contest. As many readers know, Louisville Law and Central High School have a longstanding partnership meant to promote diversity in the legal profession. Second-year law student Kaylee Raymer, who is one of our Human Rights Advocacy Fellows, was presented with the LBA’s Legal Opportunity Scholarship. And receiving special recognition was Barbara Thompson, someone who is known to generations of Louisville Law graduates. 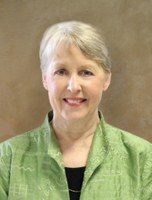 Barbara retired as director of student records in June of 2018 after 47 years of service. Many lawyers in Louisville and beyond owe her a debt of gratitude for her commitment and counsel over nearly half a century. I was sorry I could not be there – if only Deans had the capacity to be in two places at once! Professor Marc Steinberg with Louisville Law securities students. As an environmental and property law scholar, corporate law isn’t an area where I have done much work. So I was thankful when my colleague Manning Warren arranged to bring in his friend and co-author, Professor Marc I. Steinberg of SMU’s School of Law, for this year’s William Marshall Bullitt Memorial Lecture in Law, held February 28. Professor Steinberg, Rupert and Lillian Radford Professor of Law at SMU’s Dedman School of Law, presented "The Securities and Exchange Commission vs. Mark Cuban – A Trial of Insider Trading." Professor Steinberg served as an expert witness during the insider trading trial of the SEC versus Mark Cuban. In his talk, he outlined insider trading law in the United States, compared insider trading law in other developed securities markets and discussed the SEC-Cuban case. I was thrilled to see members of the local bar, as well as many law students, attend this important lecture, made possible through the generous support of Lowry Watkins, Jr., in honor of his grandfather, the Honorable William Marshall Bullitt, former Solicitor General of the United States. Professor Steinberg’s resumé is an impressive one. He has written more than 150 articles and 36 books. In addition to SMU, has taught at the University of Maryland School of Law, the Wharton School of the University of Pennsylvania, the National Law Center of George Washington University and Georgetown University Law Center, as well as international appointments in at law schools in 13 countries. He was an adviser to former U.S. Supreme Court Justice Arthur J. Goldberg for the Federal Advisory Committee Report on Tender Offers and is a Former enforcement attorney and special projects counsel at the SEC. Suffice it to say, the University of Louisville School of Law is fortunate to have had such an accomplished legal scholar as a guest speaker. I want to again thank Professor Steinberg for sharing his time and expertise with us. See a full gallery of photos from the event. More than 50 attendees were present at the event, hosted by the Estate Planning and Elder Law Program. Local attorneys presented at the Elder Law Symposium. A Dean’s life is full of events. Some are especially memorable — especially for a law Dean — because they demonstrate the impact a school has in the community it serves most immediately. Community engagement has become an important part of the School of Law and of the University of Louisville more generally in recent years, and this was very evident at a terrific event I attended in West Louisville, at the Southern Star Baptist Church on Saturday, September 15, 2018. Law students gathered before the event. A group of our students, under the auspices of the Estate Planning and Elder Law Program run by Professor Goldburn Maynard, organized the third annual Elder Law Symposium. The event attracted more than 50 seniors and their friends and family from across the community for a program that featured estate and elder law practitioners, Metro Councilwoman Jessica Green and Judge Denise Brown. It made me so proud to be associated with a School where faculty and students bring their dedication to serving the community in an important and much-needed way. As Professor Maynard reminded those assembled, the singer Aretha Franklin died without a will — and none of us should do that! The day was a terrific and important event and showed the importance that law has for our individual lives. Be sure to read another account of the day in this blog post written by Estate Planning and Elder Law research assistant Joe Zurschmiede. Dean Crawford shares one of the best part of his job: connecting with alumni. Dean Crawford displays his school spirit with a group of 2011 law school alumni. One of the great pleasures of this new job — perhaps the greatest pleasure, next to getting to know our students — is getting to meet our alums and learn about their lives and careers. Two recent experiences really brought the truth of this fact home for me. The first was a reunion the School of Law hosted for members of the classes from 1969-1971. These were small classes due to the Vietnam War, which is why we combined the reunion group. The impulse for this was the return to campus of Murray Klein, class of 1970. Murray, who now lives in California, had not been back to the School of Law for years and returned to award a very generous scholarship to third-year student Bethany Beal. The scholarship was created by Murray and his wife, Elayne, in honor of his mentor, a fabled teacher at the school, the late William Read. We held the event at the Omni Hotel, downtown Louisville’s newest smart spot. I saw some already familiar faces, like the always amiable Wyatt partner Grover Potts (class of 1969), and also made some news friends, like the Pikeville lawyer John Baird, class of 1971, and Richard Beliles, class of 1971, the Kentucky state chair for Common Cause. I also met Martha Schecter, class of 1970, whose fame preceded her. Martha is a longtime legal aid lawyer and since I arrived in January people have told me she is someone I need to meet. Why so? Because she is known and respected as someone who has spent her career working to make this a better place. Martha still sizzles with the intensity of her social commitment and I hope we can lure her back to campus this year for some women in law leadership events we are planning. This event was bracketed for me by yet another reunion — the reunion of a group of men from the class of 2011: John Nawara, Ryan Polczynski, Kyle Samons (UofL football fans may remember Kyle’s star career as the “white thunder” as a Louisville running back), Greg Thompson, Fernando Valdizán and Gulam Zade. This group, which formed in law school, calls itself the “B-90.” That is “B’ as in ”bottom” and 90 as in 90 percent — those who were not getting the fancy law firm jobs from law school. These guys gather every year, coming from far and wide — Columbus, Ohio; Nashville, Tennessee; Morgantown, West Virginia, and yes, from Louisville, to relive old times and to plan their fantasy football leagues. Sadly, not all of them could attend that Saturday at a pizza parlor in the Highlands, but the ones I met were an incredibly diverse bunch: a lawyer for the Social Security Administration, an in-house counsel recently named as one of Nashville’s “40 Under 40,” a crazily busy plaintiff’s attorney and a sports agent, to name just a few. Most impressively of all, what may have been a bit of a regret in law school — to be part of the “B-90” — was now a badge of honor: All of these guys have, in a relatively short time, established very successful careers, a testament to the fact that class rank is not everything. They are also very loyal alums and promised to start a scholarship endowment later this year. These meetings were welcome occasions to me for another reason. This School has not had a great tradition of reunions — something I hope to change. Indeed, we will soon be sending out notices for an all-class reunion on the Friday of Homecoming weekend, October 26. We have never done this before. At that event, I will be announcing plans to start having small, class-based reunions. Whenever possible, we hope to do these at the School of Law. Indeed, the 1969-1971 alums asked why we had not brought them back to campus, “to visit the old place.” We plan to start doing that, and soon! The complexity of and difference in rules for accommodations for those with disabilities in various settings is confusing, Professor Rothstein says. My colleague Laura Rothstein, Distinguished University Scholar and Professor of Law, is an expert on disability law, among other things. This expertise has led her to work recently on questions involving the extent to which animals are welcome in public places. Her guest blog entry below lays out some of the issues. Be sure to read to the end — so that you enjoy the photo of Skip! Although the United States is a pet-loving country, American culture (unlike Europe, where small dogs are seen in many public places) has historically not supported having these guests in most public places. The exception was the traditional “seeing eye” dog — the German Shepherd or the Lab. The desire to bring our four-legged and two-legged friends (and even no-legged snakes) to public places, however, has increased dramatically in recent years. Recent news stories report about turkeys on planes, parrots in backpacks and kangaroos at McDonald’s. Which of these animals is legally permitted as an accommodation for an individual with a disability? The article is one of several in a symposium issue that resulted from a panel at the annual Association of American Law Schools conference in January 2017. The complexity of and difference in rules for accommodations for those with disabilities in various settings is confusing. The increasing presence of the Noah’s Ark of creatures in public places and other settings, however, requires that airports, hotels, restaurants, college campuses, employers, hospitals, landlords and courthouses prepare those on the front lines about what to do when someone shows up with an animal. A Supreme Court case even addressed this issue in the context of a 13-year old girl seeking to bring Wonder, her service dog, into a public school to assist her with mobility issues and to facilitate independence. Several federal laws apply — the Americans with Disabilities Act, the Fair Housing Act, the Rehabilitation Act, the Air Carrier Access Act, and the Individuals with Disabilities Education Act. The application of these laws varies depending on whether the animal accommodation is requested for an employment, housing, transportation, public service or public accommodation setting. It can be particularly complicated when a setting such as a college campus is involved with students, staff and faculty and visitors who go to class, attend football games, live in fraternity and sorority houses and eat in food courts on campus. The confusion on college campuses can be illustrated by considering whether and where Elle Woods (from the movie Legally Blond) could bring Bruiser, her famed Chihuahua. In the movie, she starts out at a public university in California where she lives in a sorority house (might be private club exception under ADA). She then moves to attend Harvard Law School (a private university) and lives in campus housing. She works as a research assistant for a professor, at a firm, and goes to court. She goes to a beauty salon and spends time on campus and at the local park. What if she went to a sports event on campus? So in which settings would Bruiser be allowed? The question was never an issue in the movie, but it highlights the many locations where it could be an issue. Answering that question would require a determination of whether Elle had a disability, what documentation she would be required to present about her disability and about Bruiser’s training or certification, whether Bruiser was a service dog or an emotional support animal, and whether the particular setting was covered by one of the relevant federal statutes or even a local or state law. Even if Bruiser were eligible for the setting, he could be removed if he was not under control or harmed or disturbed others. What if others were allergic or had phobias? Health care settings have other sets of concerns relating to health issues. The presence of a dog in a waiting room presents different concerns than bringing it to a delivery room or allowing it to remain in the hospital room with a patient. Airline travel is also particularly challenging because different statutes apply to the flight service than apply to the airport facilities themselves. The article explores the specific requirements under federal statutes and in the various settings. It also sets out some areas that would benefit from attention. What makes animal accommodations particularly unique is that they are one of the few accommodations that might require another individual (not just an entity) to accommodate the disability. This is increasingly being highlighted in situations where others have phobias or allergies, with little federal guidance about how to resolve the tensions between the individual needs. The article also makes clear how important it is for those on the front line in various settings to be trained about what questions are permissible to ask the person with an animal. Disability accommodation with support or service animals is an issue of great current interest to many of the conference attendees where I speak, particularly college and university administrators. I also enjoy discussing this issue in my property and torts classes, where they learn that not all dogs get one bite! My dog, Skip (a rescue dog), provided emotional support while I wrote the article on this topic. When Justice Anthony Kennedy announced his retirement, speculation about his replacement quickly swirled. The president was reportedly considering a handful of judges, including his future nominee, Brett Kavanaugh. Since I clerked for Judge Kavanaugh and Justice Kennedy, I began to write and speak about both. Here are a few thoughts on that process, and on Judge Kavanaugh. My summers tend to be quite quiet and solitary. But a couple Thursdays ago, I paused my summer research, pulled up Skype on my laptop, and sat for an interview with a local news station in New York. The journalist was a former college classmate, and the interview was so unexpected that I had to borrow a collared shirt from a friend whose house I was working at. Even more unexpected was that over the next two-plus weeks, I’d do about 75 more television, radio, and print interviews. Over one particular 30-hour period, I found myself on CNN, MSNBC, Fox News (twice), Fox Business (three times), Bloomberg TV, WHAS, and Mitch Albom’s radio show. That final one was a particular treat for me because as a kid, I used to watch Albom on ESPN, and I listened to his tear-jerker Tuesdays with Morrie on a road trip with my mom. In addition, I’ve also talked to the media about Kavanaugh’s character, and I’m not alone there. Several critics have written columns saying they’re tired of hearing from all of Kavanaugh’s supporters about how he coaches his young daughters’ basketball teams, serves meals to the homeless, and thinks of his trailblazing mom — a teacher, turned prosecutor, turned state judge — as the real “Judge Kavanaugh.” Who cares, they say, that Brett Kavanaugh’s a nice guy? Those critics have prompted me to reflect on why I’ve spent so much time talking about Judge Kavanaugh’s character. Second, the framers believed character mattered. Not to go all law-nerd on you here, but when referring to the Senate’s “Advice and Consent” function, Hamilton’s Federalist 76 talked about qualifications and character — and only qualifications and character — when it said the Senate will “prevent the appointment of unfit characters from State prejudice, from family connection, from personal attachment, or from a view to popularity.” Since Judge Kavanaugh’s qualifications are self-evident, I’ve tried to share with viewers and readers my insights about his character. This suggests Kavanaugh values independence and fair-mindedness in his approach to his job as a judge. We can learn something about the kind of justice he will be from the kind of employer he has been. I’m new to talking to the media, and cable news interviews usually last only a few minutes. Nevertheless, in hindsight, when I’ve done media interviews about Judge Kavanaugh, I wish I had been more precise about why I think his character matters and why his personal qualities speak to values that matter in a judge. I’m grateful to Dean Crawford for the opportunity to begin to do that here. See a compilation of Walker's media appearances.